Creative Calligraphy framed and matted print. Oak frame. 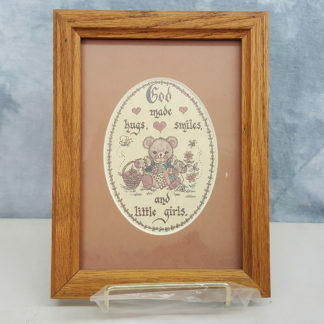 “God made hugs, smiles and little girls.” with teddy bear.